physical silver bullion products from Silver.com. Silver spot prices are extremely important in the buying and selling of precious metals. The spot price of silver refers to the price per troy ounce traded on various Commodity Exchanges; it is updated every second during market hours. The troy ounce has been the standard measurement for precious metals since the 1800s in the US and much longer in other parts of the world. Silver prices, like the prices of other precious metals such as gold, are subject to volatile price swings. The prices of our silver products are determined by the current spot price of silver, in addition to our premiums for each product. 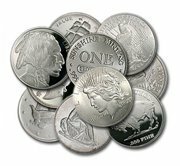 The current silver spot price is determined by many factors, including but not limited to the state of the economy, futures market, OTC (Over the Counter) market, world events and strength of other currencies. At Silver.com, our up to the minute spot prices are provided by Xignite.com, a leading provider of market data cloud solutions. The mining of silver began some 5000 years ago and was first discovered and excavated in what is now modern day Turkey. The center of silver mining eventually shifted to Greece and later to Spain. The Spanish went on to become the major silver supplier to the Roman Empire and played a vital role in Asian trade along the spice routes. Following the Moorish invasion of Spain, mining slowed in the region and began to spread to other parts of Europe. Perhaps the biggest factor in the growth of silver mining, however, was the Spanish discovery of The New World in 1492. Production in the Americas by far exceeded anything that had been done previously. Silver mining continued to grow and flourish, and eventually new discoveries were made in other parts of the world such as China, Canada, Australia and Africa. In the past century, the technological advances made by humans have helped drive silver production to new heights and are ever increasing its demand. In fact, global mine production of silver now averages 671 million troy ounces per year! Am I in a financial position to invest in precious metals? As with any investment, precious metals investments can lose value and investors can experience losses. Make sure you are comfortable with the risks associated with buying precious metals before investing. Why are you buying silver? Is it to hedge against inflationary risks or perhaps currency depreciation? 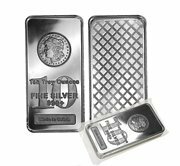 Are you interested in simple silver bullion or are you looking for more collectable types of silver? Know what types of silver you are interested in and why before buying. This will also help make the shopping process easier. Have a storage plan for your silver. Obviously, small amounts of silver may be stored at home in safes or other secure places. Safety deposit boxes may be used, as well. For larger amounts of silver, one may want to consider third party secure vault storage. Know the pros and cons of each method and have a plan for your silver before buying it. Buying from a local dealer and buying online may be two very different things. Brick and mortar coin dealers will often have significantly higher dealer premiums associated with their products. 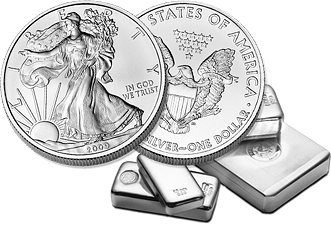 Online dealers, such as Silver.com, often have much lower overhead and move more inventory thus allowing us to offer bullion products for lower prices. To see what others are saying about buying precious metals online from us, you can read some customer reviews of Silver.com.